Our Butterfly Corner is now open. 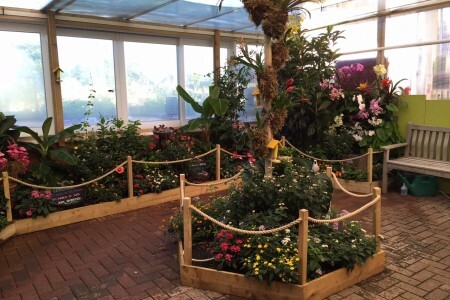 In this enclosed area planted with a range of tropical plants you can learn about the fascinating lifecycle of the butterfly and watch the butterflies feed and fly. There is also a puparium where the new butterflies emerge and without any predators this will be like living in a five star hotel! If you would rather have a look from the outside, there is a window on the covered walkway where you can also observe these fascinating butterflies. Open every day until the 17th September.